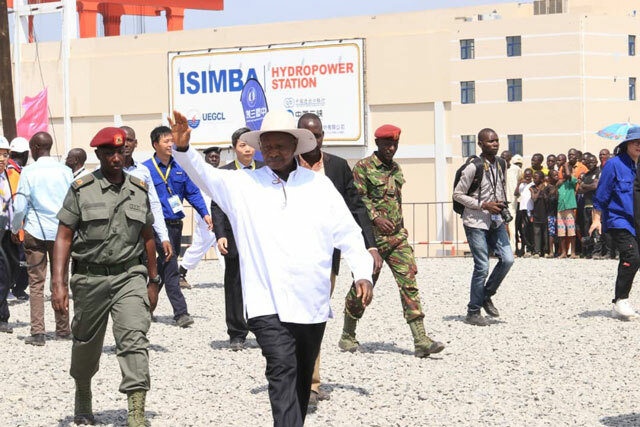 Jinja, Uganda | THE INDEPENDENT | President Yoweri Museveni has commissioned the Isimba Hydro-Power station, adding 183 Megawats of electricity to the National Grid and bringing Uganda’s total installed Power Capacity from the current 955MW to 1138MW. Uganda Electricity Generation Company (UEGCL) has reassured the country that Isimba will generate the cheapest electricity in East Africa. 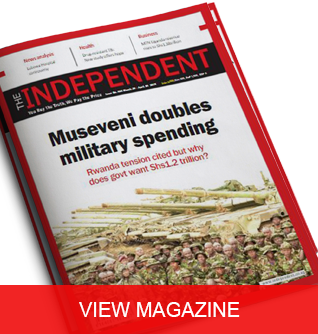 The dam cost $568m, part financed (85%) by a loan from China’s Exim bank to be repaid over 10years, and partly by the Uganda government (15%) from the government’s Energy Fund. With its commissioning, the dam is expected to reduce the cost of power from the current $8 cents Pkwh, to $5 cents pkwh making it the cheapest in East Africa. 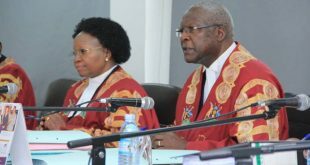 It lies on a stretch of land in Isimba village on the Victoria Nile in Kayunga District, 44km downstream of the 250 MW Bujagali Hydroelectric Power Station where dust has never settled. 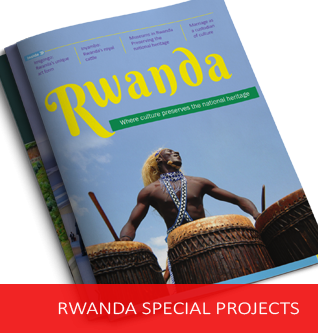 In the past five years, hundreds of workers have been crushing rocks, laying concretes and embankments across the Africa’s longest river –the Nile, to build the Isimba Hydropower Dam, the third largest electricity plant and one of the country’s largest projects. Four turbines, commonly referred to as units, each with a generation capacity of 45.75MW, are now live. The government is pinning its growth on the new dam and the 600MW at Karuma further downstream of the river to boost the country’s economic growth agenda. “This economy hinges on electricity. 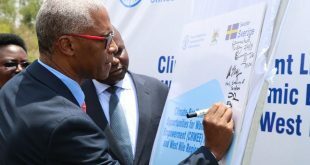 Without it, we cannot have economic development,” said Harrison Mutikanga, the Chief Executive Officer of the state-owned Uganda Electricity Generation Company Limited, mandated to oversee dam constructions and electricity generation. Since 2013, the government has injected huge resources in massive infrastructure projects including dams, roads, airports, railway and roads. But the growth in the economy has been subdued to an average of below 5% over the past few years as opposed to higher levels of 6-8% in the early 2000s. This has been partly blamed on the constant power outages, inaccessibility in some areas especially in the rural, high electricity tariffs and high interest rates. Mutikanga said the sale of electricity to the national grid will be priced at about US$5cents compared with the current over US$8cents offered by Bujagali hydro-power project. 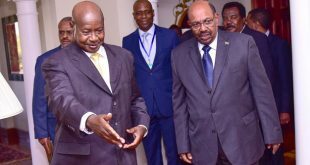 The Isimba hydropower plant is expected to boost the electricity generation with 183MW, pushing the country’s electricity generation to 1,138MW. 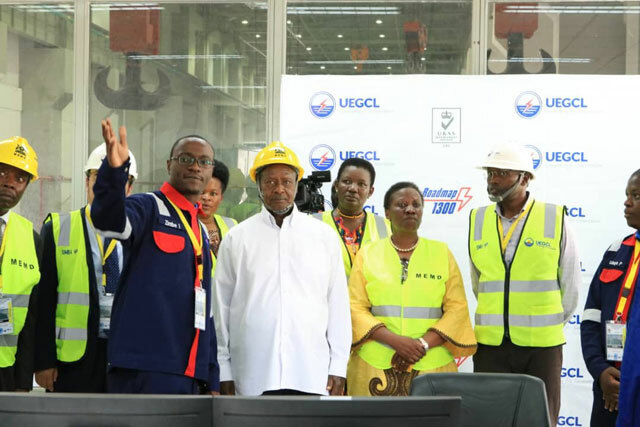 “The electricity costs; you don’t have to worry about that because we expect it to go down after completion of the many dams we are constructing,” Museveni said while commissioning the new Simba cement factory in Tororo District last month. The project covers approx.3, 000 acres of land and comprises of concrete gravity dam, a clay-core rock fill dam, spillways, electro-mechanical equipment, switching stations and auxiliary power transmission works. The concrete dam, located on the left side, consist of a reservoir retaining structure in front of the erection bay, while the rock fill type with central clay core right dam provide storage for emergency gates and stop logs. The dam’s external switchyard is situated at the left bank of the river, and it is already connected to the Power House with four overhead lines. Once the power has been generated in the Power House, it will be sent to the switchyard, and later transmitted to the substation at Bujagali hydropower station through a 132kV Isimba-Bujagali double circuit transmission line. 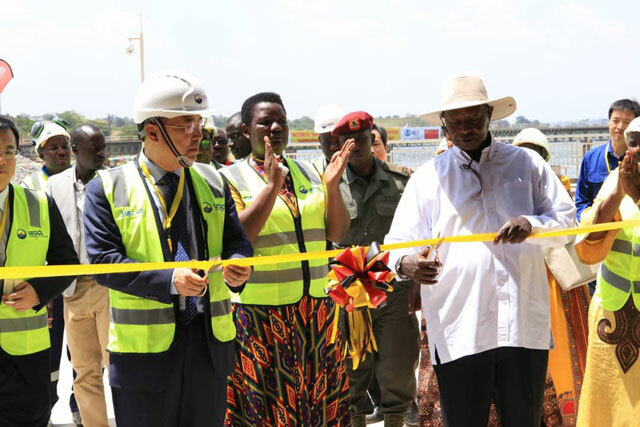 The project also included the construction of a bridge across the river a few metres from the dam to connect Kayunga and Kamuli districts.